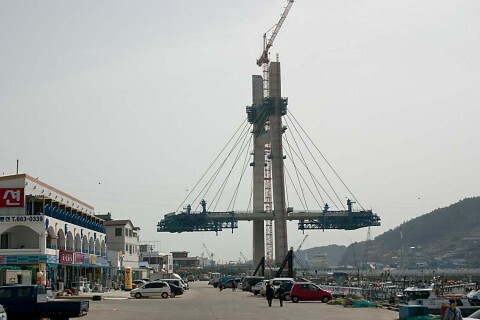 Continuing from the previous post, I walked down out of the park and toward the harbor, to the new Jongpo Ocean Park Walkway, also being built for Expo 2012. At the far end of the walkway stands one of the massive towers of the new Dolsan Bridge. 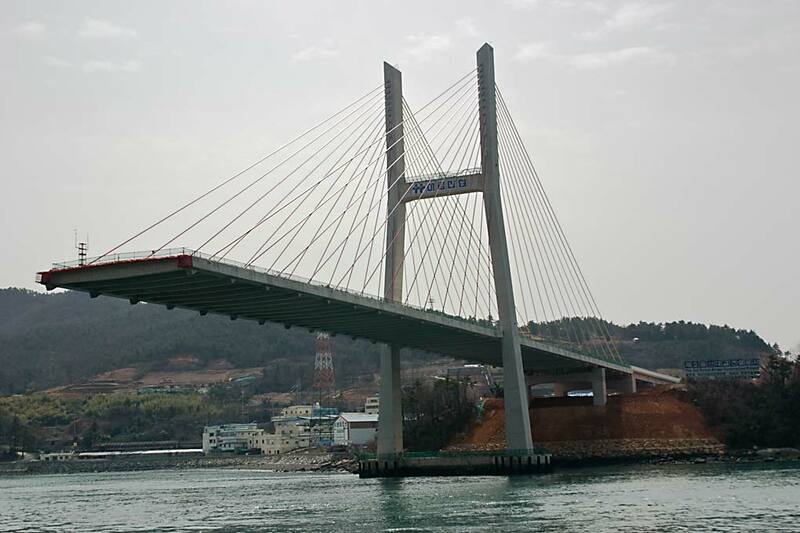 Here’s another shot of the other part of the bridge under construction, reaching out from Dolsan Island. Have you ever heard of the 17th century Dutch explorer Hendrick Hamel? Neither had I. In this area is a small red lighthouse named, appropriately, Hamel Light. Walking a bit further, you can see this statue of Hamel. In January 1653, a Netherlands merchant ship, De Sperwer, set out from Texel and headed for its final destination of Nagasaki, Japan, after passing Batavia (Jakarta) in July. 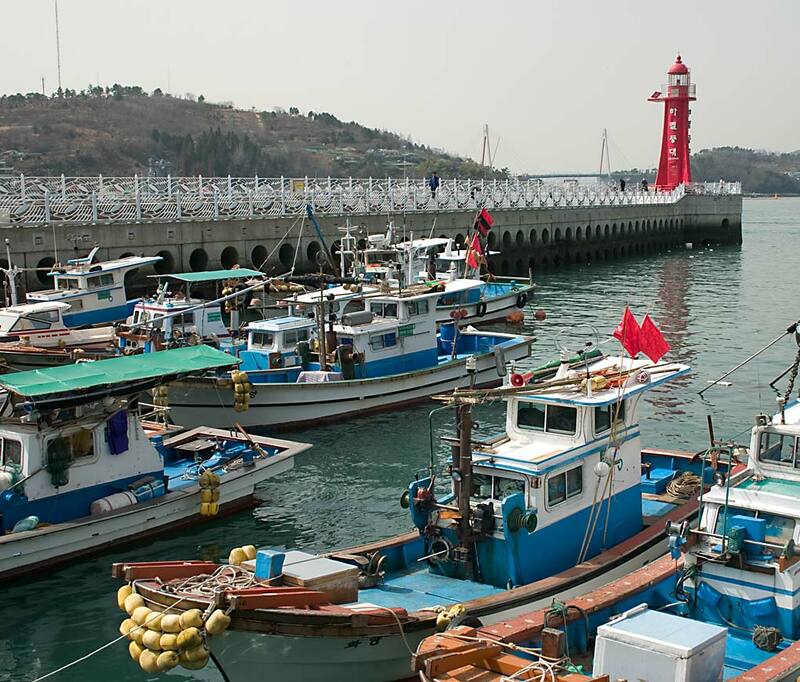 However, on August 16, 1653, they encountered a storm off Jeju Island and arrived on the shore of Jeju. There were 36 survivors out of 64 crew members after the storm, and one of them was Hendrick Hamel. In May, 1654, the survivors were sent to Seoul for custody under the royal decree of the king (King HyoJong). In 1656 they were sent to the barracks of Gangjin, Jeonnam Province, and they spent seven years in captivity. Due to a food shortage caused by draught (sic), in February, 1663, 22 survivors were separately placed under custody: 12 people to Yeosu, 5 people to Suncheon, and 5 people to Namwon. Among the 12 men sent to Yeosu, Hamel was one of the men. And they were given the duty of gate guards for Yeosu Jeolla Fortress. 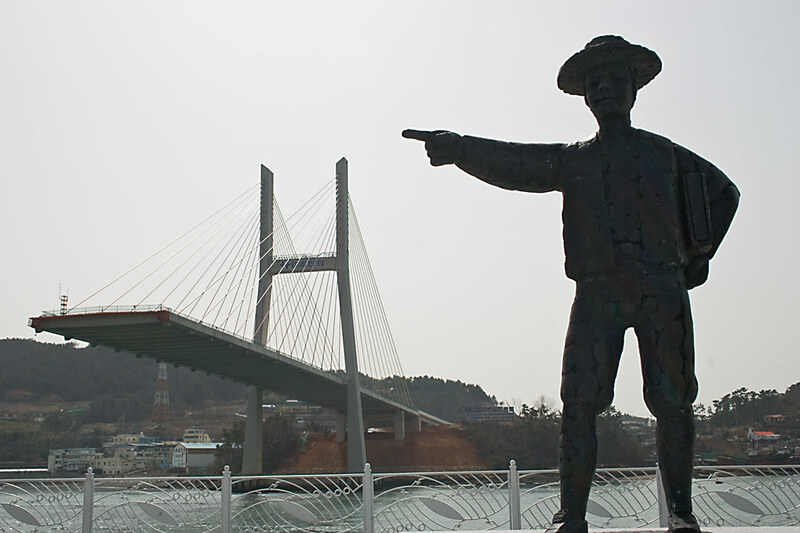 In early 1664, a commanding officer, Lee Do-bin, of the naval forces, was inaugurated, and he was a man of generosity. He allowed Hamel and others to live comfortably with limited freedom, and the survivors earned money by selling wool in the market to buy a ship to escape from Korea. However, in 1666, the successor of Lee, Jeong Yeong, came to command the fortress and he made it hard for the survivors to live, so the survivors decided to escape. On September 4, 1666, they mingled with the inhabitants as every thing was going as usual. At night, they made their escape by crawling over the wall of the fortress and went to the pier. They gathered drinking water and ran toward the southern tip after passing the military vessel as the low tide started. Around the next evening, the saw the tip of Busan and finally escaped from the territory of Korea. This is the starting place of Hamel and others for navigating toward their freedom. An interesting story, and Hamel pops up in other sites in Korea. If you do a Google search, you can find out more about him. Here’s a close up of the light. 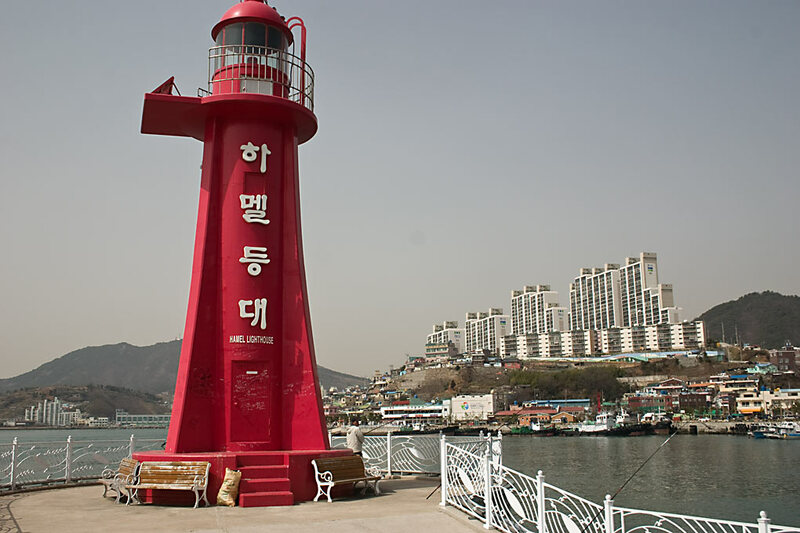 Next post: Jongpo Ocean Park Walkway.